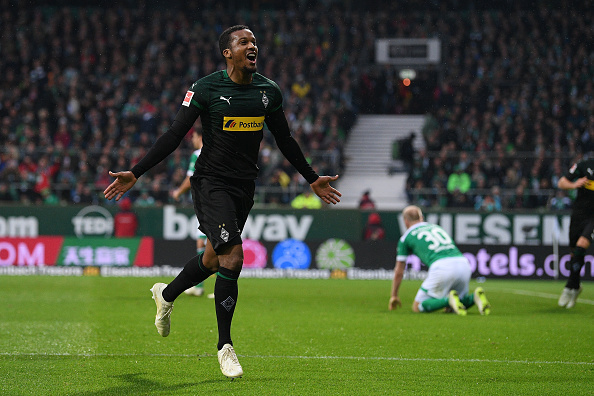 Borussia Moenchengladbach striker Alassane Plea scored a hat trick to closed the gap on Bundesliga leader Borussia Dortmund with a 3-1 win at Werder Bremen on Saturday. The French striker took his tally to eight goals in 11 games with three goals in a 13-minute spell either side of halftime. The victory put Borussia Moenchengladbach one point behind Dortmund ahead of Dortmund’s home game against Bayern Munich. While Fortuna Duesseldorf ended its six-game losing streak in the league with a 4-1 win at home over 10-man Hertha Berlin. Maximilian Mittelstaedt was sent off for a second yellow card in the 41st, and Takashi Usami opened the scoring early in the second half. Also, Stuttgart ended Markus Weinzierl’s three-game losing start as coach with a 2-0 win at Nuremberg, Hoffenheim beat Augsburg 2-1 and Mainz won 3-1 at Freiburg.